Baseball Caps for the fans of the Breaking Bad Television Show. Each is Direct Embroidered on Solid Black, Baseball cap with a single tone gray logo. 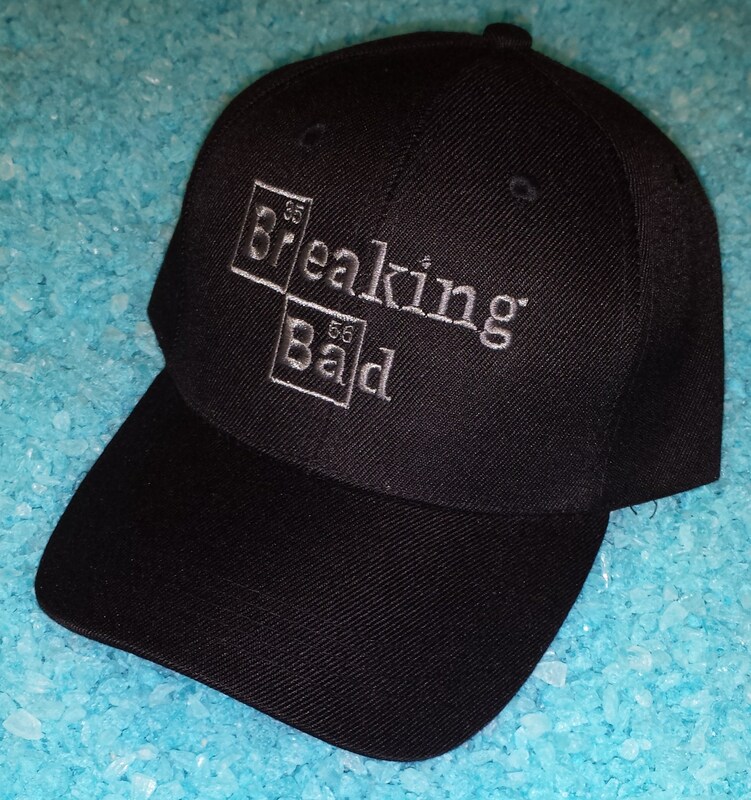 Embroidered Breaking Bad logo capsColor: Black or Gray Featured Message: Breaking Bad(gray) Logo (gray) Fabric: 100% Acrylic Care: Hand wash cold Size: One size fits Most The Candy lady does not endorse recreational and illegal drug use. Here we encourage people to use the show’s popularity and events to teach others about the Real Consequences, Life Cost and Danger of “Meth” and other illicit drug use. *The Actual Item May Differ Slightly From That Shown In The Image. The images used for for these items are considered Fan art aka fanart. (Artworks created by fans of a work of fiction) No copyright is infringed Breaking Bad is the official property AMC Network Entertainment LLC.